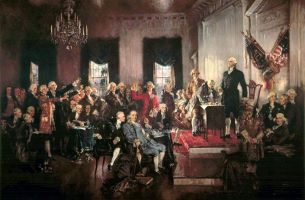 The Fourteenth Amendment: What Norms Did 'We the People' Establish? Unlike, for example, Michael Kent Curtis, whose colleague I was privileged to be for several years, I am not a legal historian. I am, however, a connoisseur of legal history - specifically, of legal history concerning the “original” meaning of the Fourteenth Amendment. So I was happy to attend, just last month (September 2010), a workshop at the University of San Diego School of Law - sponsored by USD Law’s Center for the Study of Originalism - at which Christopher Green of the University of Mississippi School of Law and Bryan Wildenthal of the Thomas Jefferson School of Law discussed Green's ongoing, important work on the original meaning of the Fourteenth Amendment’s privileges or immunities clause. Wildenthal is himself doing important work on that subject. At the end of the workshop, I concluded that what I had to say a dozen years ago about such work--and about the original meaning of the due process, equal protection, and privileges or immunities clauses of the Fourteenth Amendment - has stood the test of time. What I had to say, I said in my book *We the People: The Fourteenth Amendment and the Supreme Court* (Oxford, 1999), which I wrote while Michael Curtis and I were colleagues and could, much to my benefit, bat some of the important issues back and forth. 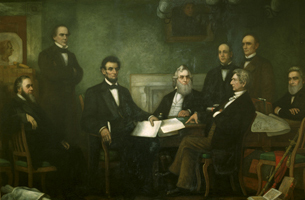 This SSRN post consists of the relevant chapter of the book, Chapter 3, which is titled: “The Fourteenth Amendment: What Norms Did ‘We the People’ Establish?” That chapter title implicitly refers, of course, to the preamble to the Constitution of the United States, which declares: "We the People of the United States... do ordain and establish this Constitution for the United States of America."